This post is sponsored by Florida KidCare, all opinions are my own. Happy and healthy are two of my favorite words. If you had to sum up your aspirations for your kids, it really does come down to these simple things. That’s why I’m really excited to be able to partner up with Florida KidCare in preparation for the back to school season. When I learned that 283,000 Florida children are currently living without health and dental program, I immediately knew that I needed to help spread the word about their program. Florida KidCare health and dental program helps to connect kids to the care that they deserve. It’s completely free to apply and you will be surprised at how easy enrollment is. Let me tell you more about the program. It’s definitely worth seeing if you’re eligible for Florida KidCare right now. You might be eligible for completely free health and dental coverage for your children. If not free, families can pay just $15 or $20 a month for the household of children. There are also full-pay options for families who aren’t eligible for subsidized coverage. Compared to regularly priced insurance, this is an amazing option. My son just had his first day of school and it really reminded me of the many years we struggled to keep things together. Having health and dental insurance hasn’t always been easy, there have been many times that it felt like things were in limbo. Between rent and bills and trying to stay afloat, we had some very nerve wracking days. It’s seriously stressful, especially when preparing for school again. Having health coverage is a really big deal when it comes to getting those yearly physicals and signing kids up for sports, too. The back to school scramble can be overwhelming enough as it is. Checking off things on lists from purchasing school supplies to a back to school checkup. Then, just when you think you have it covered, your children bring home a giant packet of forms to fill out with pretty much every little thing you missed. Am I right? 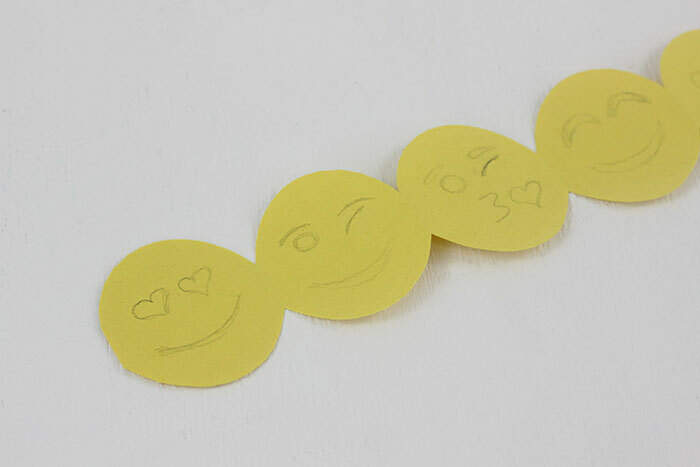 When thinking about what it really means to have happy healthy kids, I came up with a fun Emoji Paper Garland that really captures those feelings. Florida KidCare can help keep you and your kids smiling all year long with their benefits, so a smiley craft is in order. The program includes doctor visits, immunizations, dental care, and so much more! Now, that’s something to smile about. Join me in celebrating the best of what it means to have happy and healthy kids! Emojis are the perfect way to express fun and happy emotions if you ask me. 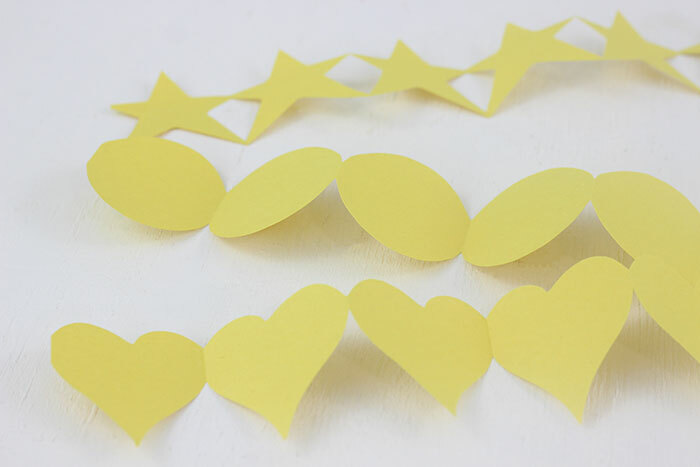 Let’s celebrate healthy and happy kids and make some emoji paper garland. 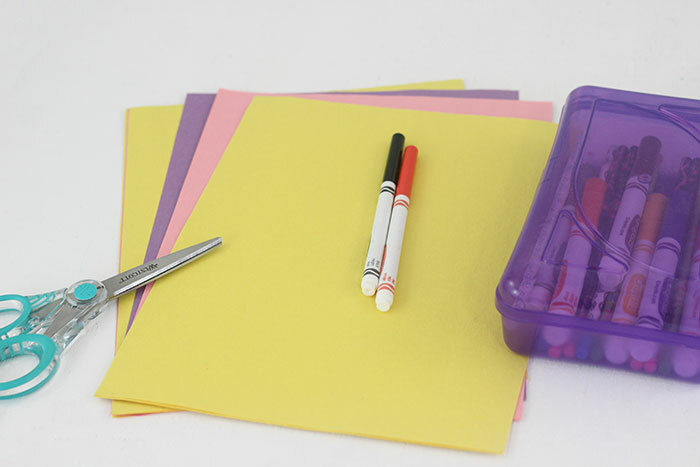 It’s a great activity to do along with your kids or a way to surprise them by putting some in their lunchbox on their first day back to school. Start the new school year off in style! 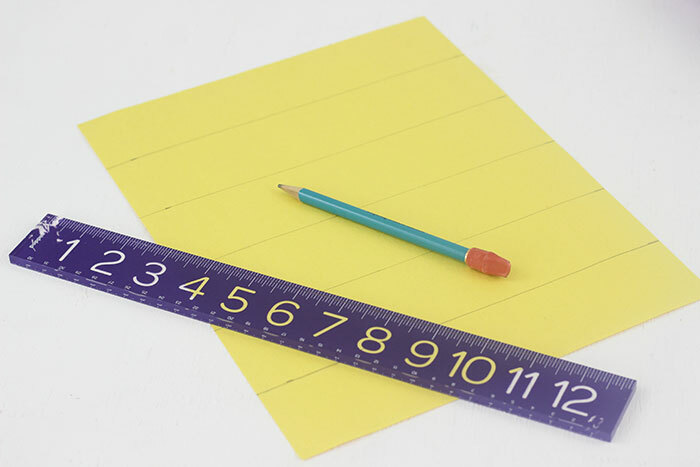 First, fold each sheet of construction paper into about 5 equal parts which are about 2″ wide each. You can use a ruler to trace these on if you want them super straight like I did. 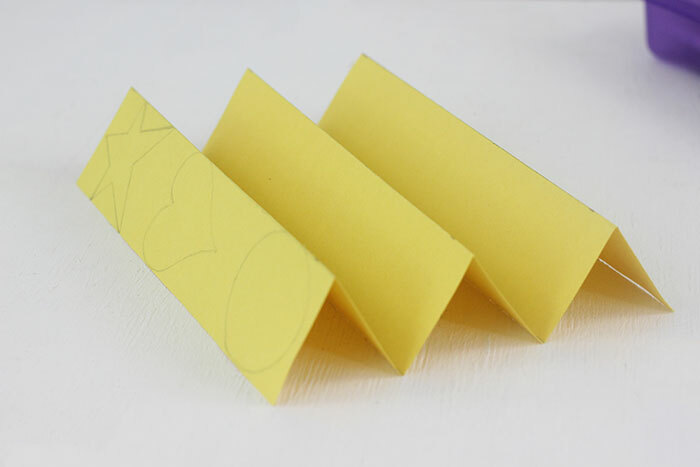 On the top portion of the folded sheets, use a pencil to draw your shapes. You can do about 3 like I did. I chose a circle for the classic emoji faces and then added a star shape and heart to a little extra cuteness. 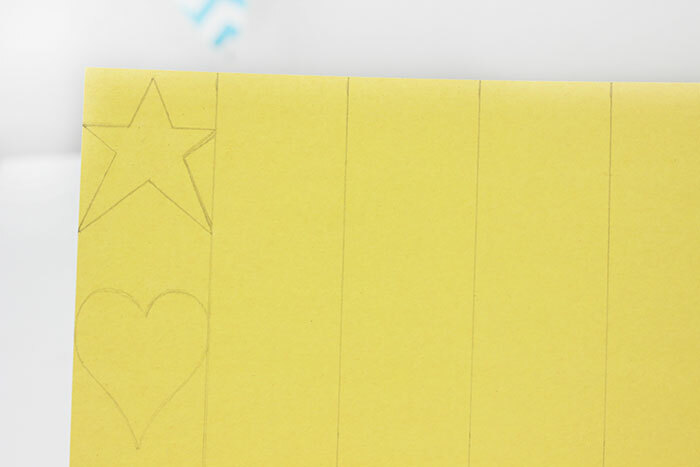 The key here is to make sure that you draw your shape on to cover the entire width of the square. They literally have to touch both sides in order for the garland effect to work once you’re done. Then, carefully trim your designs out while never cutting the sides where your shapes are touching, we need that part to stay put. Once you have trimmed out your cool shapes, take a look. You have garland. You can even take them together to make longer strings of garland for decorating. 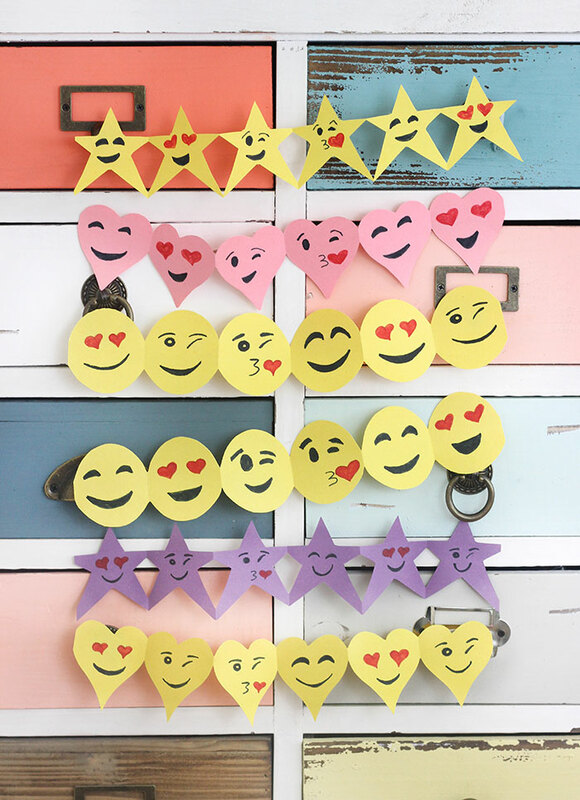 To put a final touch on our adorable garland, draw on your favorite emoji faces and you’re good to go! Use some markers or colored pencils to make your cute little faces pop! Sending off kids to school with health and dental coverage will be such a huge relief. Even if you and your partner are both working, you may still be eligible. Their program covers children from birth to 18 years of age, so visit Florida KidCare and take advantage of their year-round enrollment now. It is completely FREE to apply! Bonus! Are you scrambling around to get your kids ready for school? What are some things on your check lists? My tween loves emoji everything. Even the poop emoji, which I'm so glad to see didn't make the cut for your craft! This is the cutest garland ever. 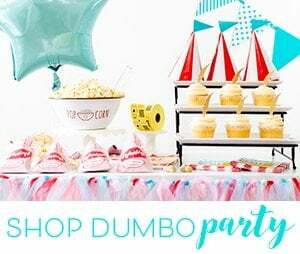 It's perfect to decorate a bedroom, dorm, locker, or for a birthday party. And I love that it's easy enough that I can even do it. This is adorable! I bet you could even make this out of that very popular brown emoji too! Hahaha. You make the cutest projects! I love that these are simple enough for my kids to fill the house with them. These are cute. My son was just telling me yesterday how much he loves emojis. My daughter really wants to see the movie. I bet she would like to do these to decorate her room. Our kids start back to school in less than 2 weeks and I can't wait. This is such a cute crafts. Having a health and dental program for your kids is so important. Florida KidCare sounds like a great program. I know not having coverage can get quite expensive. Since we are in Florida, I need to get my son on this! We are self employed so have to choose our own insurance. What a great idea and craft! My daughter would love to make this for her playroom! My kids are really into the Emoji movie right now. This will be a great craft to do this weekend. We are expecting a ton of rain. 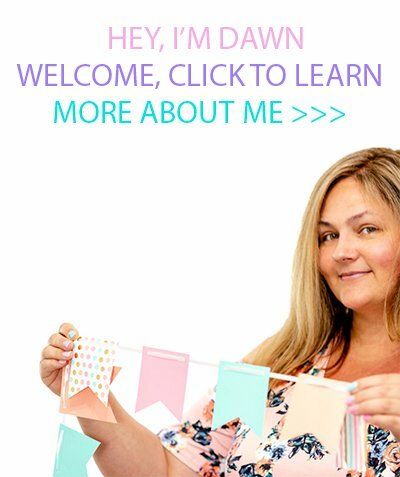 I have been looking for a few fun projects to do. This is so cute and clever! This takes paper dolls to a whole new level! Cannot wait to show this to my daughter! This is very cute! My sons birthday is coming up in one of his favorite things are emoji's. I want to decorate the house in emoji's. This is perfect for decorating the house. How adorable is that?! I love the look of these, and I LOVE how easy they are to make. Thanks so much for sharing this. I'm going to do this for the kids' next party. Those are so stinking cute! 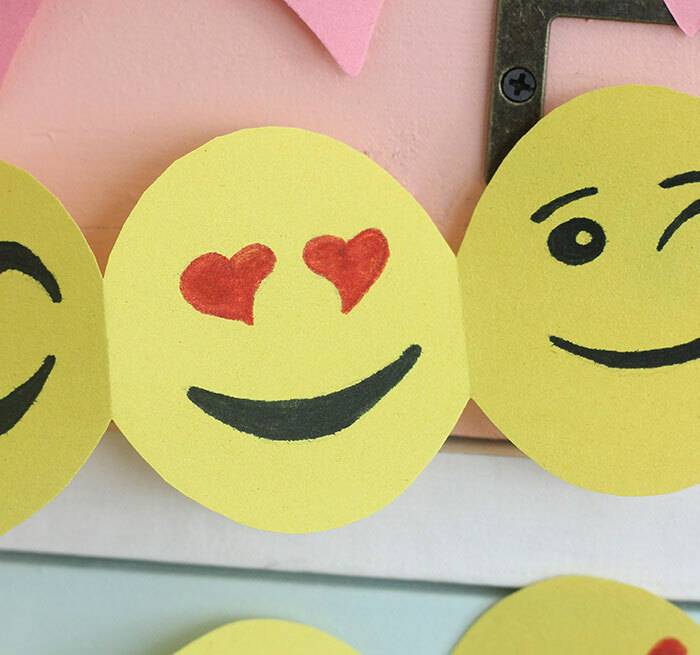 All kids love emojis, so this would be perfect for all sorts of parties.